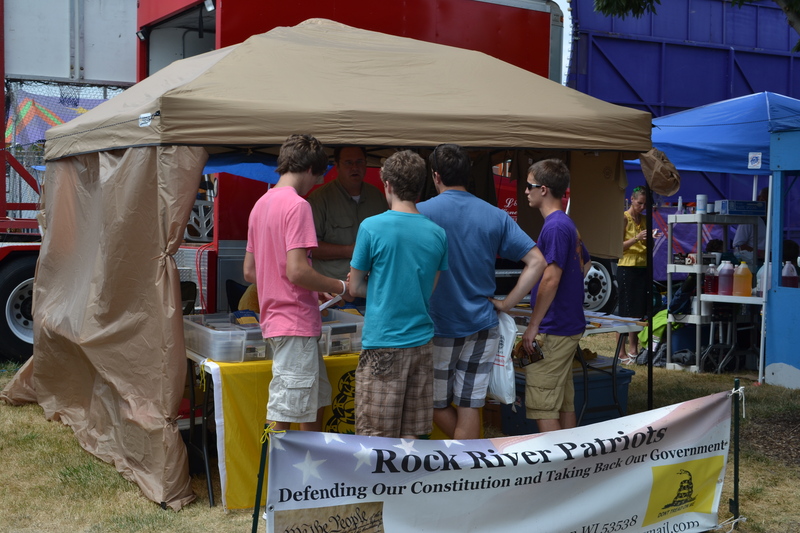 The Rock River Patriots will be having a meeting on Friday July 27th at 6pm. ***NOTE: The location of this meeting has changed from our normal location in Fort Atkinson. UPDATE: This meeting will be held at the Lake Mills EMS Building, 603 East Lake Street, Lake Mills WI 53551. This is a change for this meeting only, and we will resume our meetings in Fort Atkinson in the future. At this meeting we welcome US Senate Candidate Eric Hovde to talk about his campaign and answer some questions about his stances on a variety of issues. This should be an informative meeting! A special thank you goes out to all the people who gave of their time to help staff the Patriots booth at the Jefferson County Fair! We could not have done it without your help.